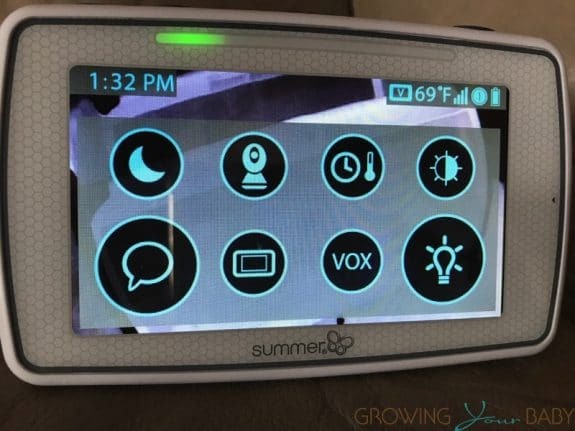 Summer Infant’s Baby Pixel Monitor is a step above any monitor we have tested. Priced at $199, Summer Infant has packed in a lot of incredible features for new and growing families. The Baby Pixel features a 5.0 Inch Touchscreen Color Video Monitor to give you a better view of your child. Parents have lots of options at the touch of a button with this device. Do you have a little mover? The monitor will let you set an area where the baby should be and will notify you if they go outside that ‘box’. This is perfect for kids who like to escape. 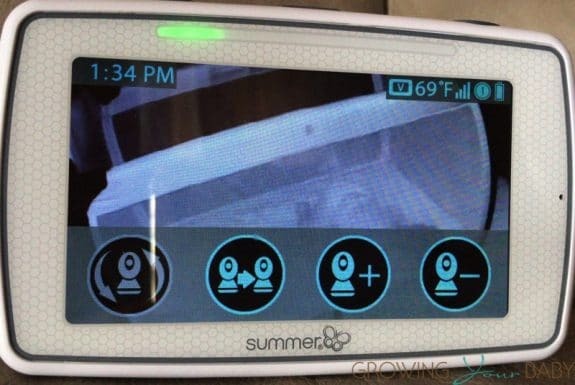 Because it’s hard to see what your baby is doing in the middle of the night Summer Infant has added the night boost mode to quickly give you a full-color view of your baby in the dark. This mode only lasts for a couple seconds but you get a clear view of your child which we like. Even though it is a little cumbersome to lug a 5″ monitor around the house, I really like the large viewing area you get of your child and how the option icons are large and easy to see. This is your command center and it allows you to control all of the features of the monitor. The unit is rechargeable so you can take it with you. It will transmit up to 1000ft which more than covers you if you are working outside during naptime. The screen itself displays the time, temperature of the room the camera is in and battery level. 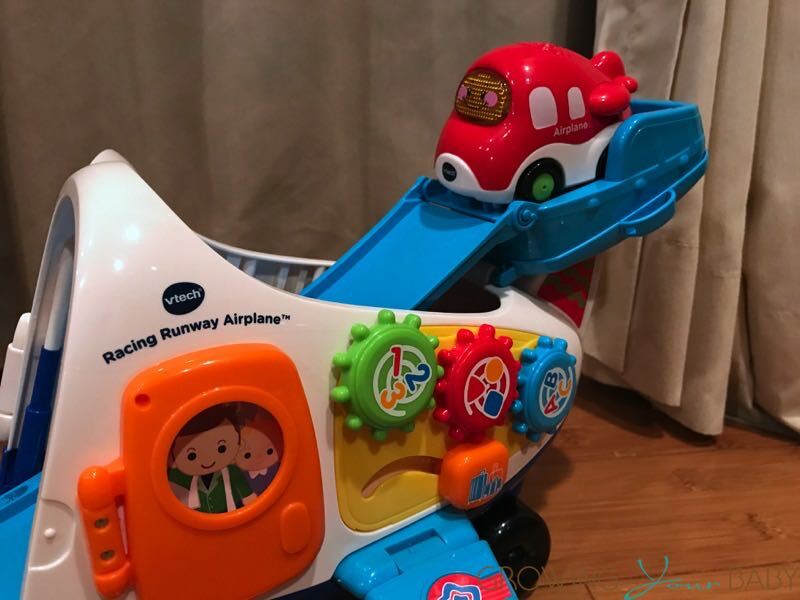 There is also a bar along the top that indicates how loudly the baby is crying. Green(as shown above) is good but red means come to get me right now. Instead of having to pan your child’s room with the arrows on the screen you can tilt the monitor to move the camera. This was the last feature that I figured out and I was mad at myself for not figuring it out sooner! Tilting the monitor is so much easier and intuitive than pressing the button and finding the arrows. Plus, this makes it a cinch to work if you have another child on your hip! 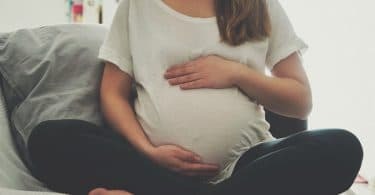 Having the ability to quickly speak to your child when they have just woken up and are screaming for you is a lifesaver if you are just finishing up dinner or in another part of the house. While it doesn’t replace you it can buy you an extra minute to get what you need done and prevent your child from losing their mind in the process. 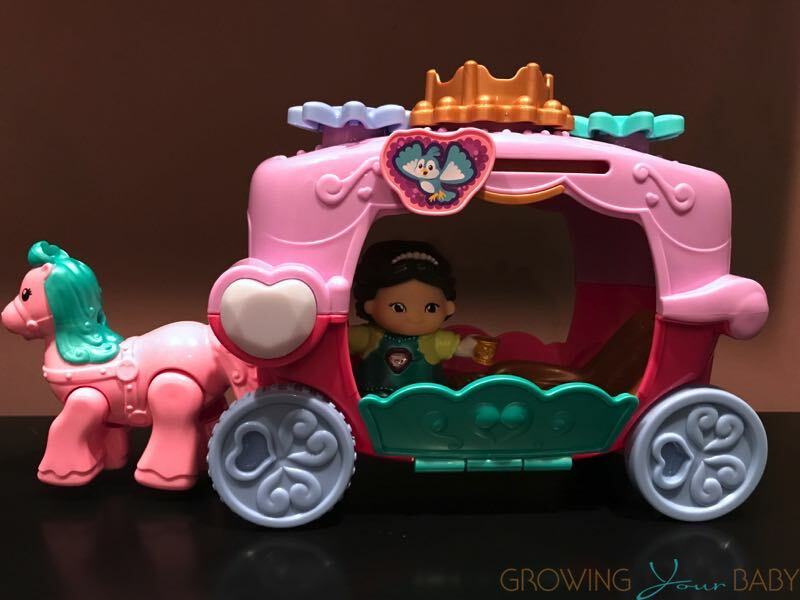 As your kids get older it can be used as a speaker system if you’re watching them in the playroom and they start to disagree. I have mediated many of an argument from my office with this feature. Having another baby? You don’t need to buy another system just another camera! If that next baby is twins – you’re still covered. Add one to your living room, playroom. The system doesn’t give you a split screen but an 8-second auto-rotation between rooms so you get the full view of each camera location. If your baby needs a little light to go to sleep you can activate either the red or blue nightlight around the face of the camera. Summer Infant says the red is designed to mimic a serene sunset, while the blue is perfect for adding a gentle glow during the night. This can be shut off as soon as your child goes to sleep. 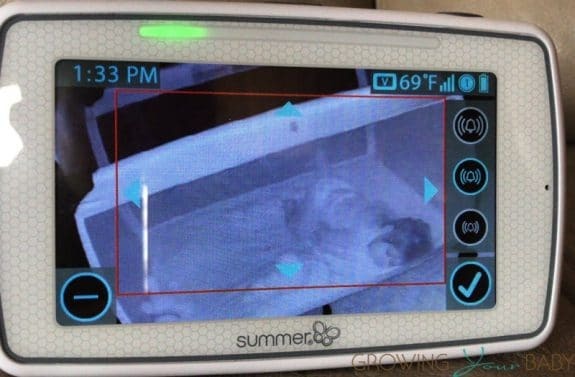 Summer Infant’s monitors have been a favorite for us for many years. 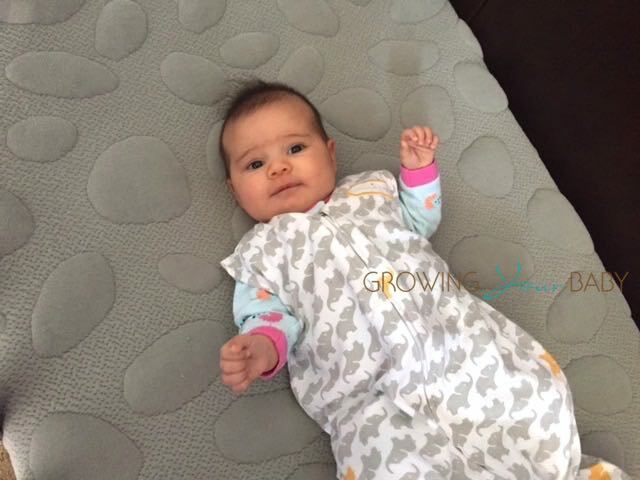 The screen quality, convenient features, and reliability keep them high on our list for must-haves for new parents. The Baby Pixel’s ability to monitor your baby, while ensuring they are safe gives parents the peace of mind they need as their baby grows.